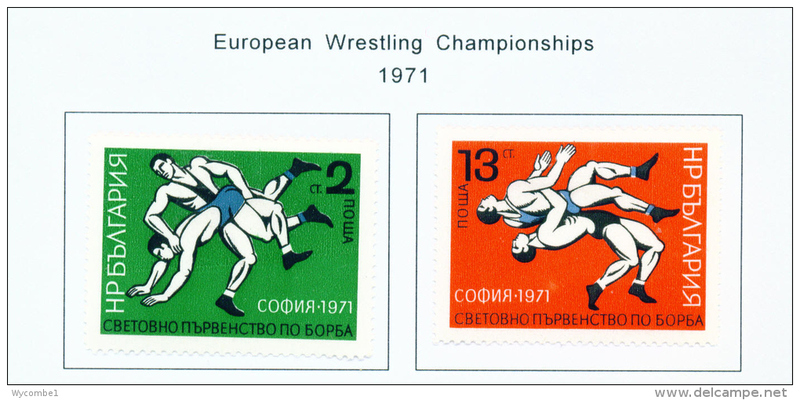 Bulgaria 1975 European Security sheetlet unmounted mint. 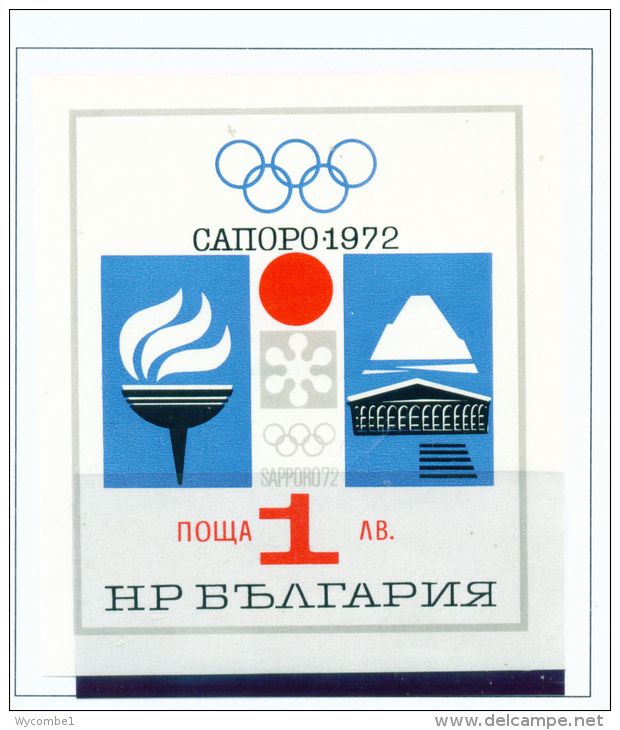 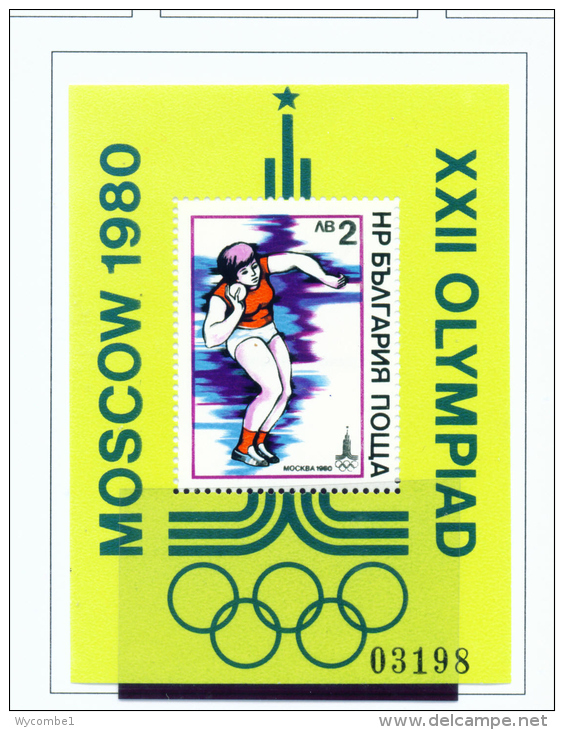 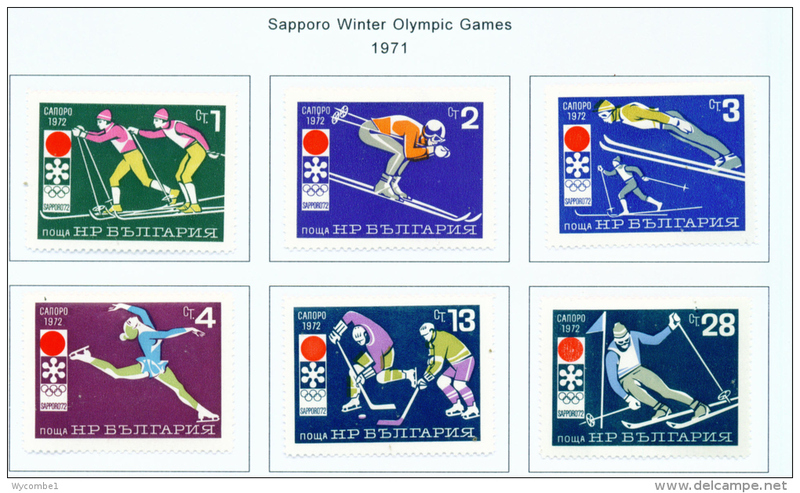 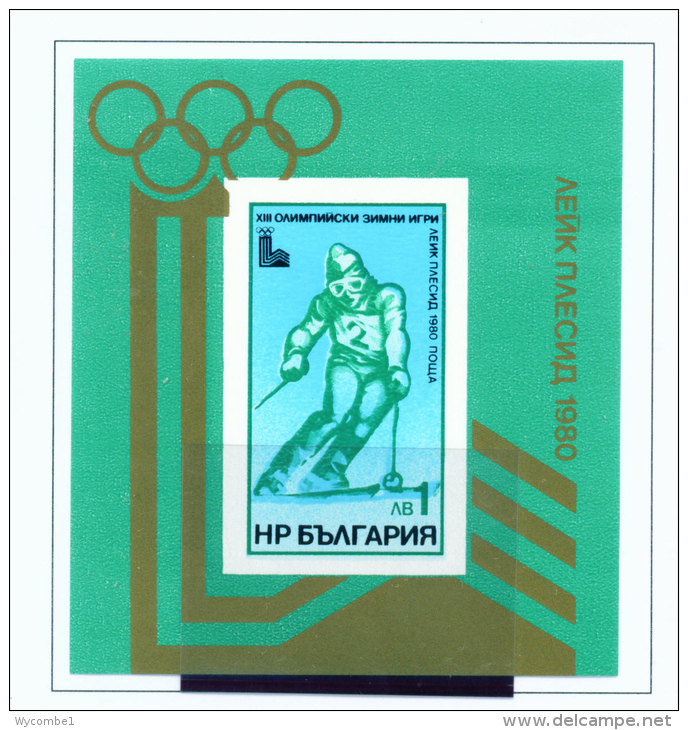 Bulgaria 1975 Winter Olympics unmounted mint. 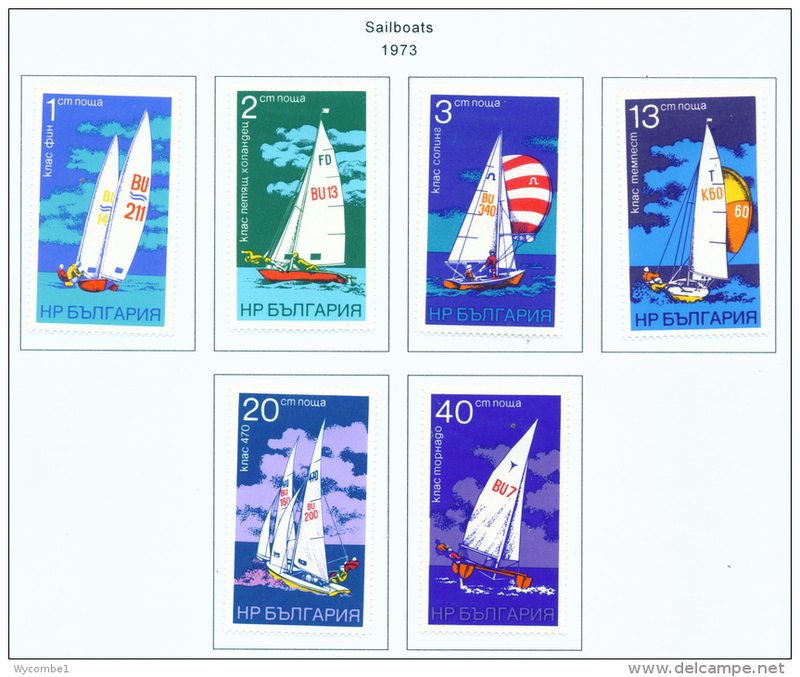 Bulgaria 1975 Historic Ships unmounted mint. 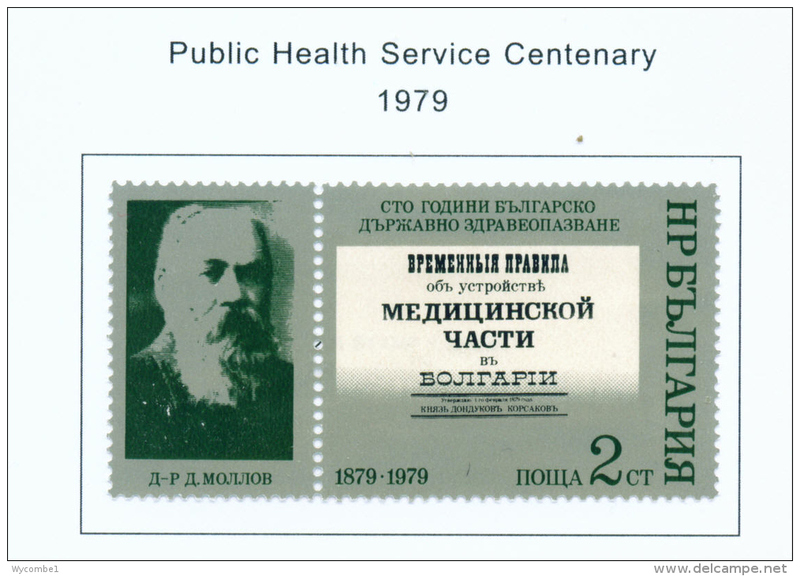 Bulgaria 1975 Bulgarian History unmounted mint. 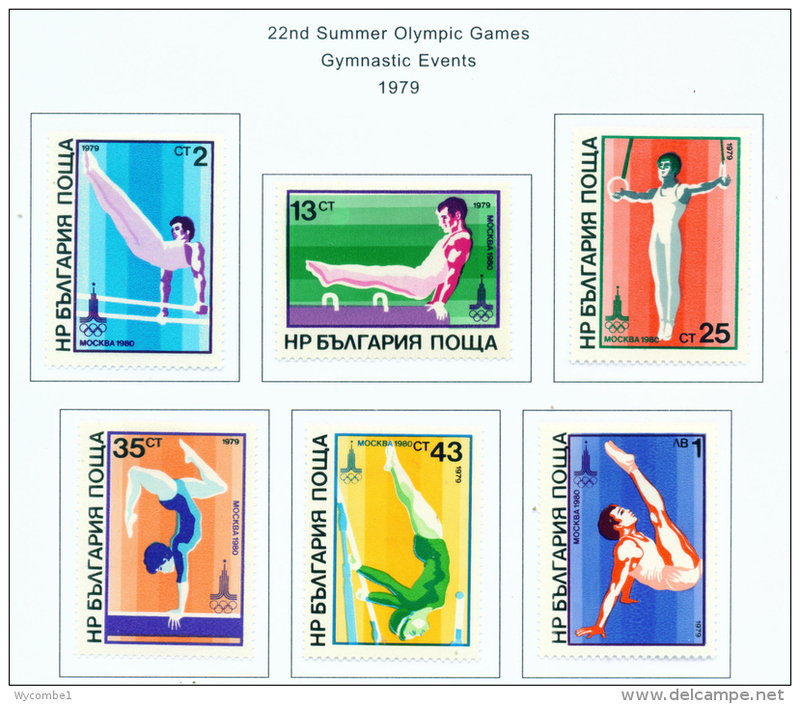 Bulgaria 1975 Hawk Moths unmounted mint. 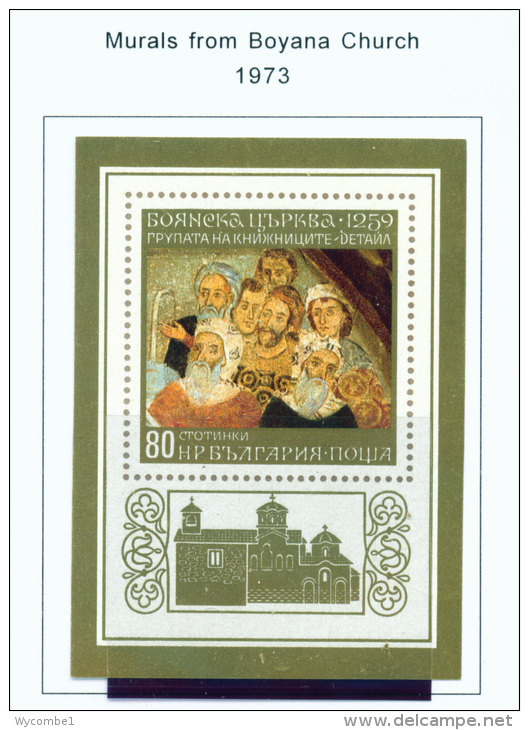 Bulgaria 1975 Sophia Church souvenir sheet unmounted mint. 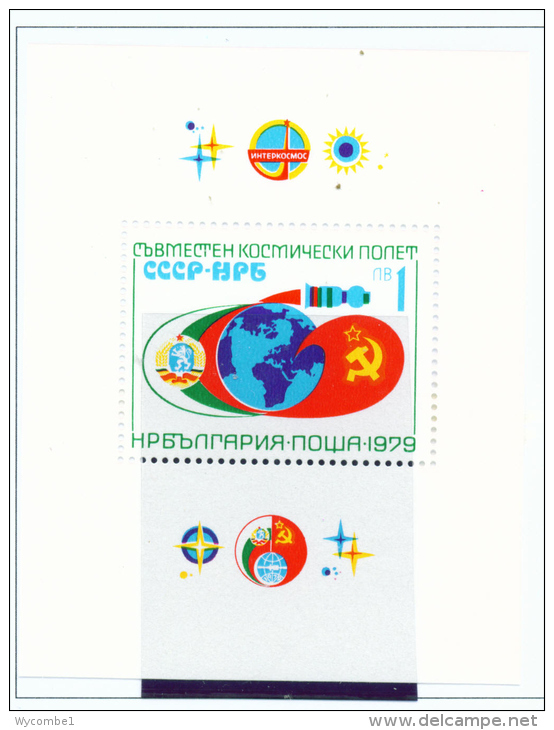 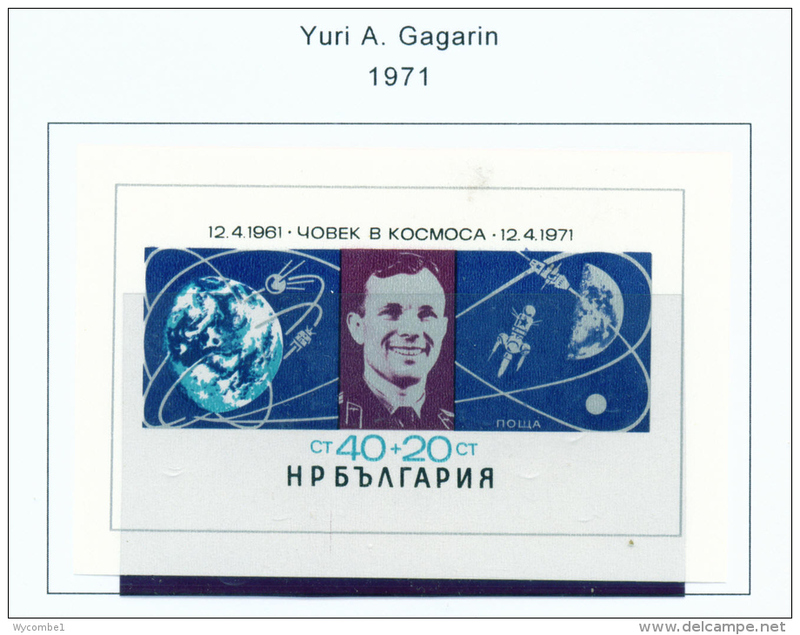 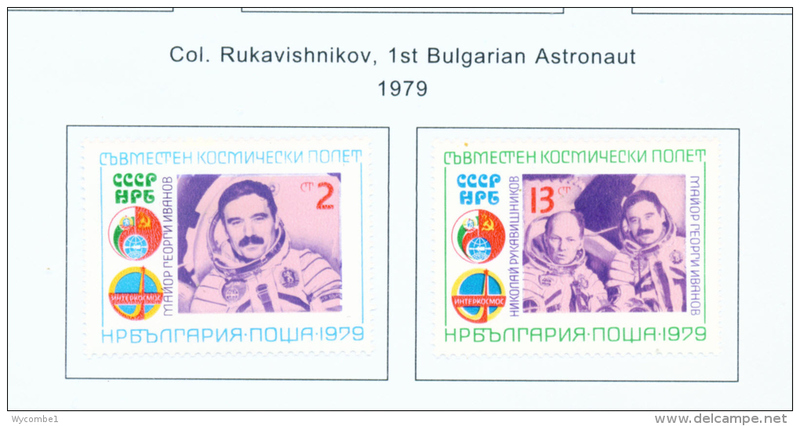 Bulgaria 1975 1975 Apollo-Soyuz souvenir sheet unmounted mint. 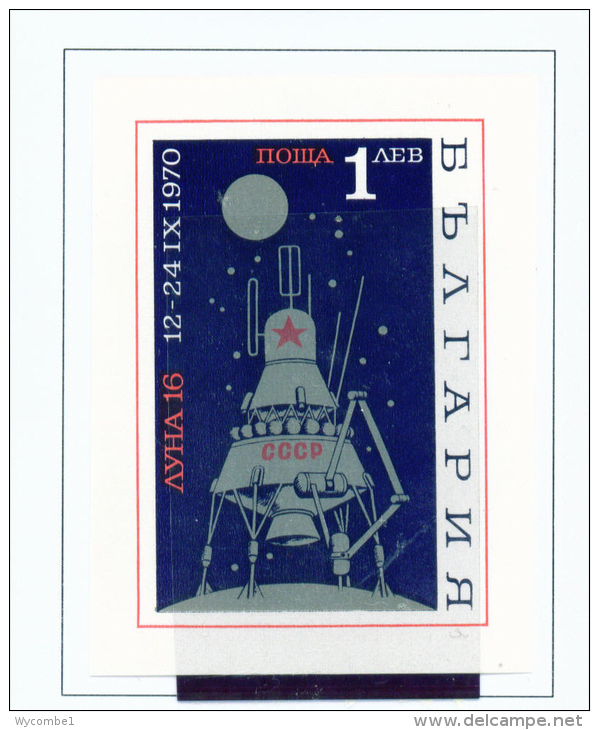 Bulgaria 1975 1975 Apollo-Soyuz unmounted mint. 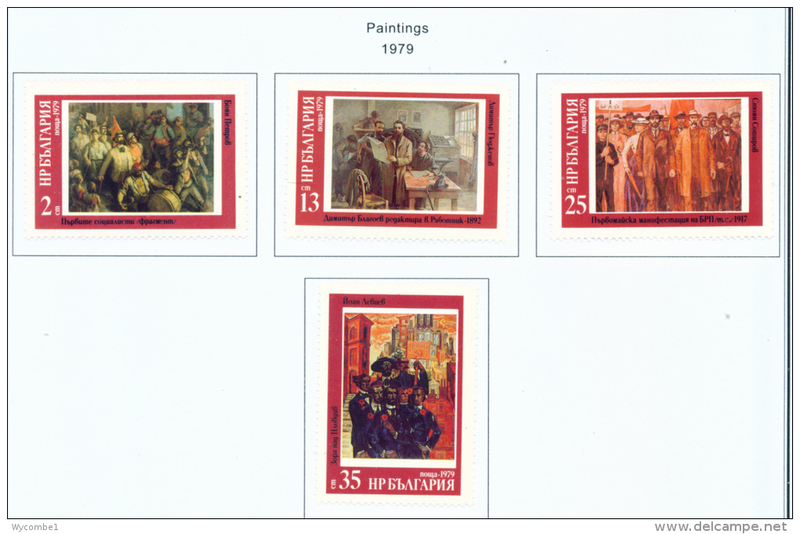 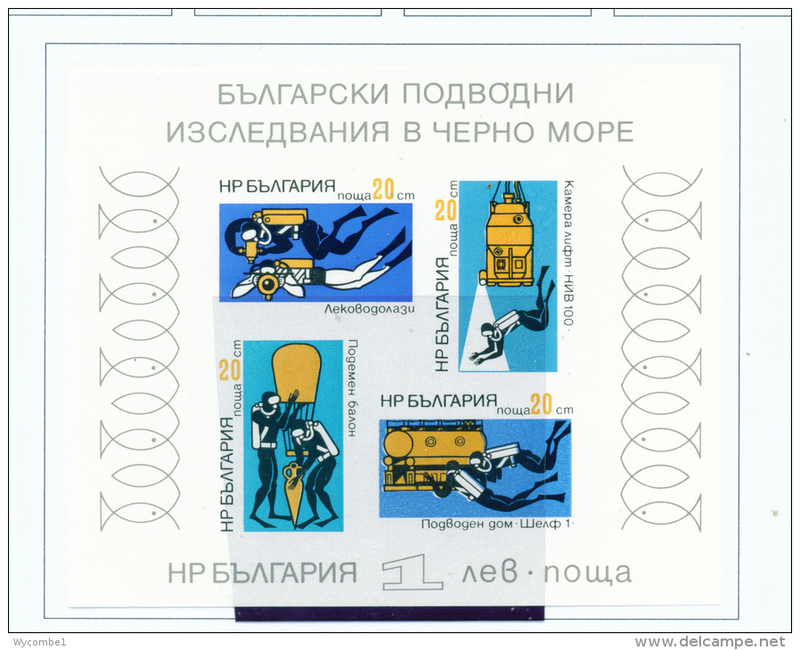 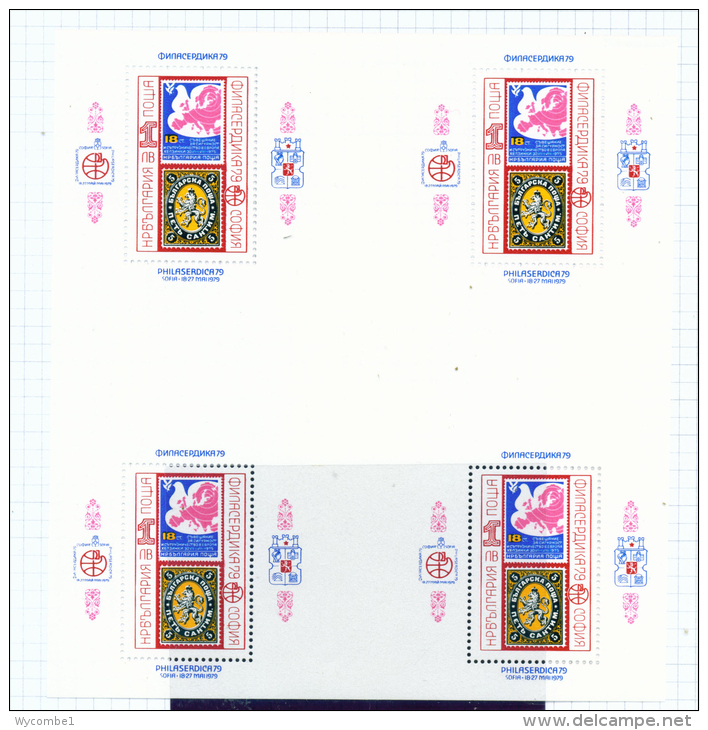 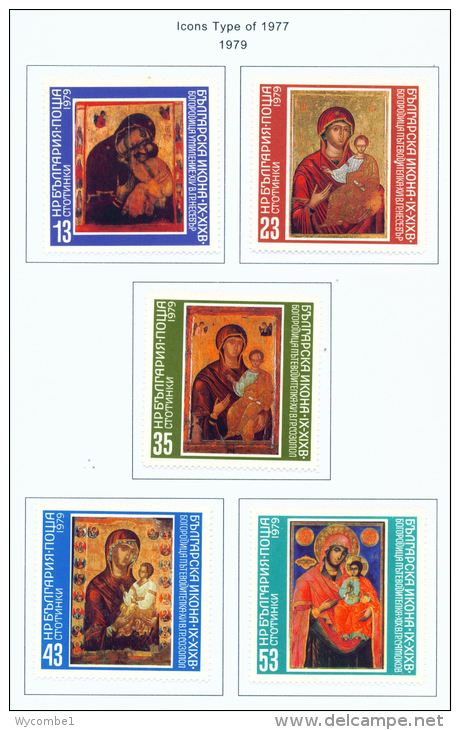 Bulgaria 1975 Decorated Manuscripts unmounted mint. 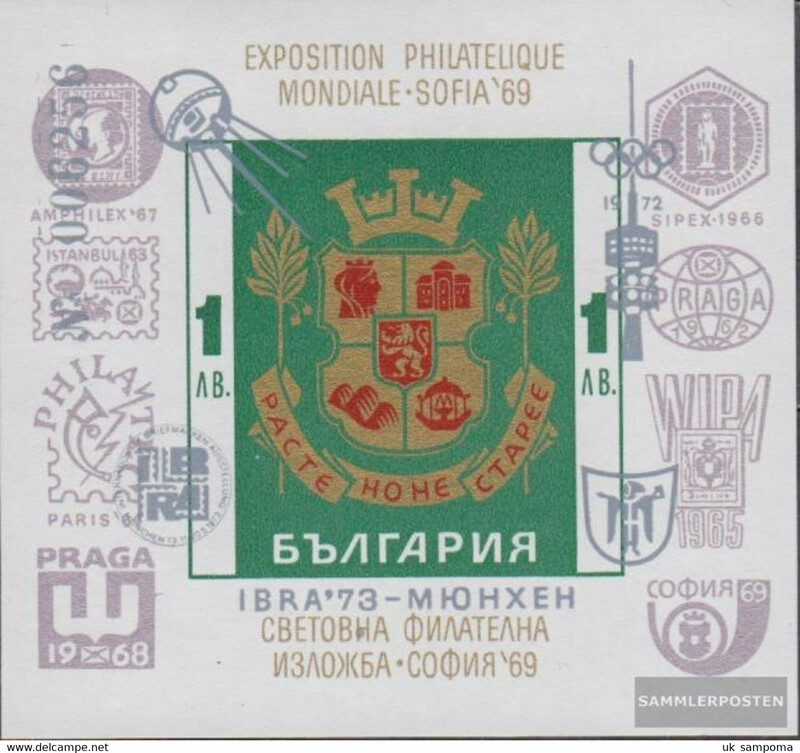 Bulgaria 1975 World Graphic Exhibition souvenir sheet unmounted mint. 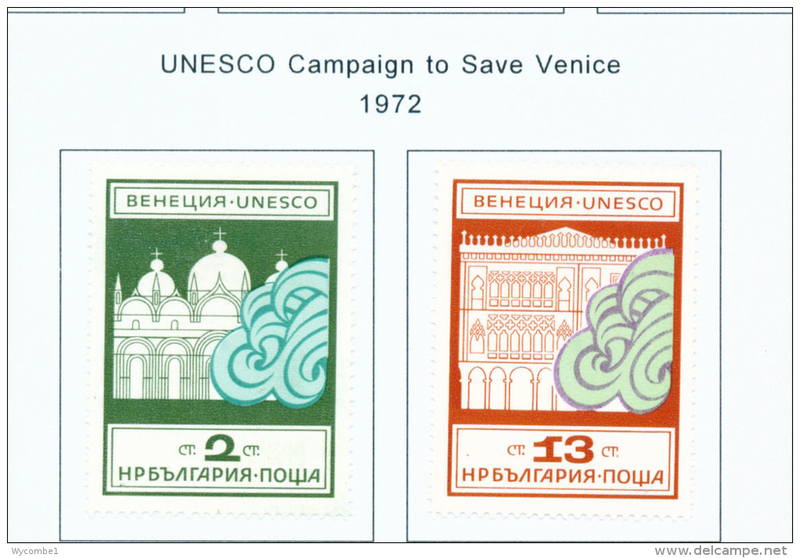 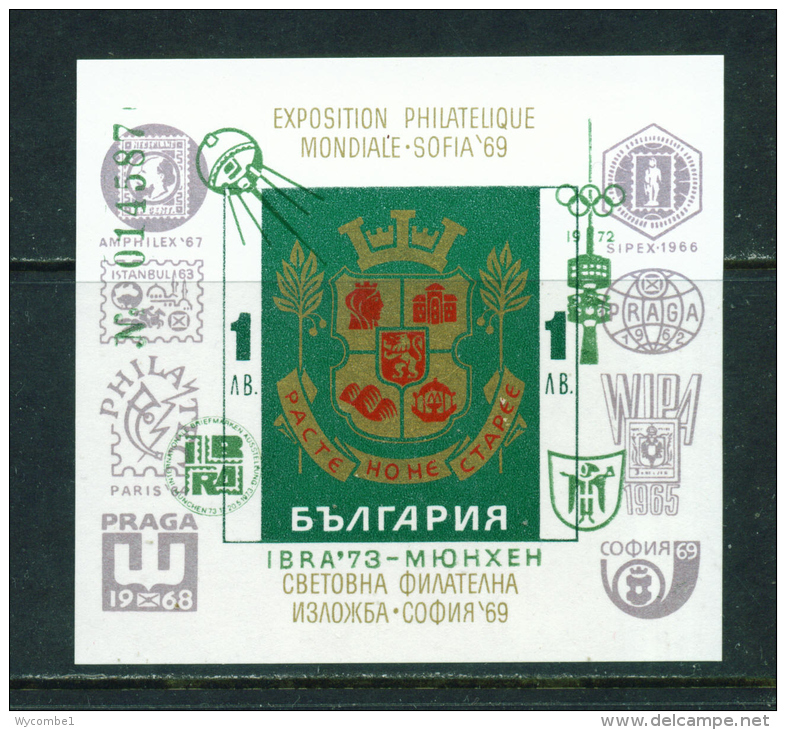 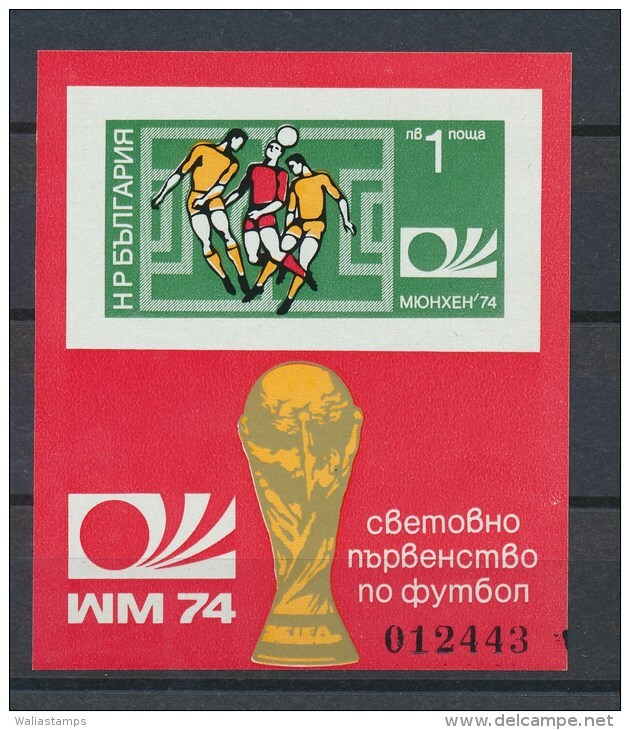 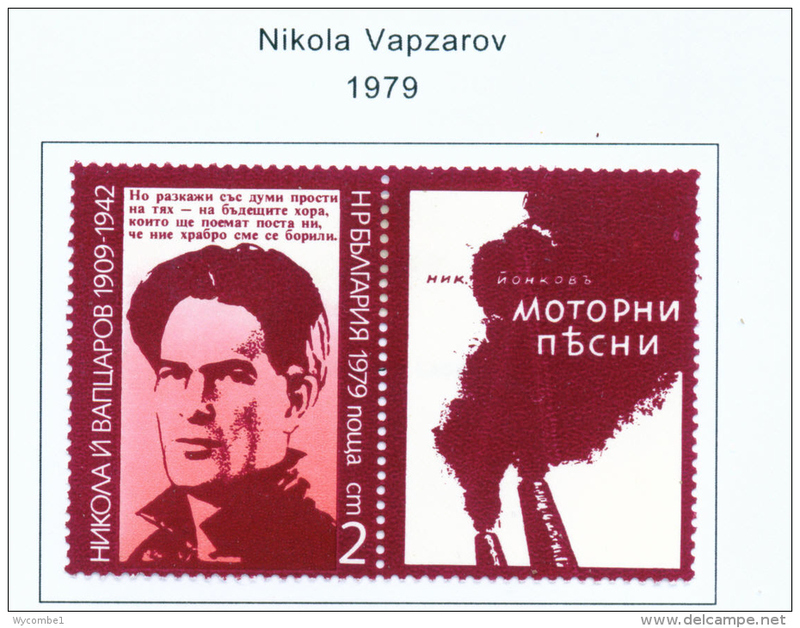 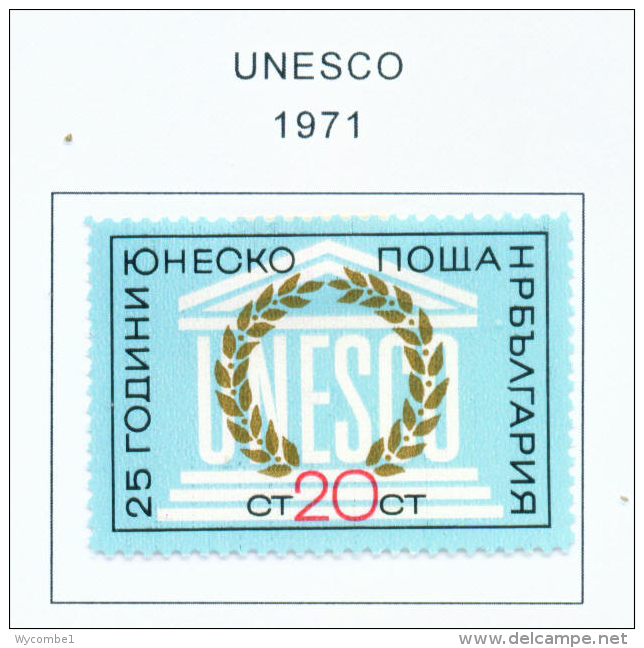 Bulgaria 1975 World Graphic Exhibition unmounted mint. 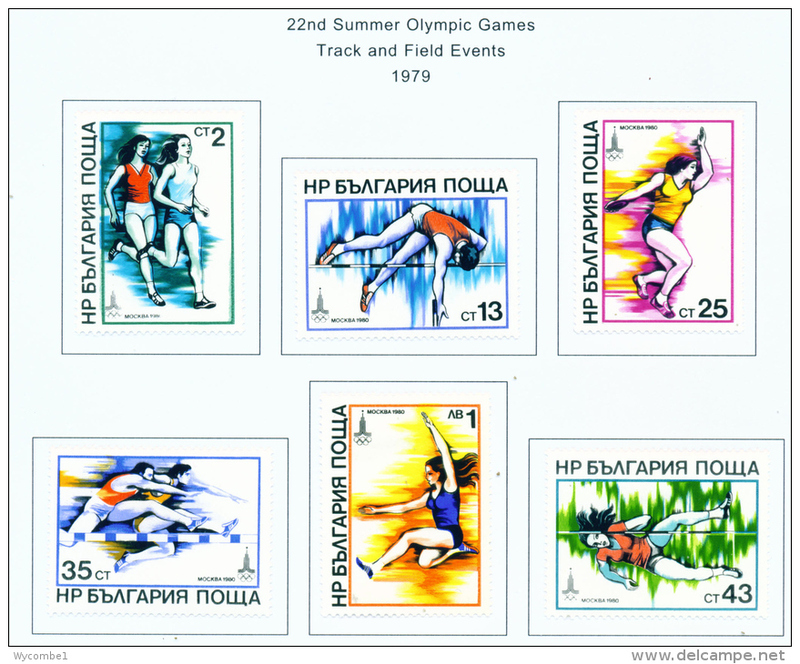 Bulgaria 1975 Womens Regional Costumes unmounted mint. 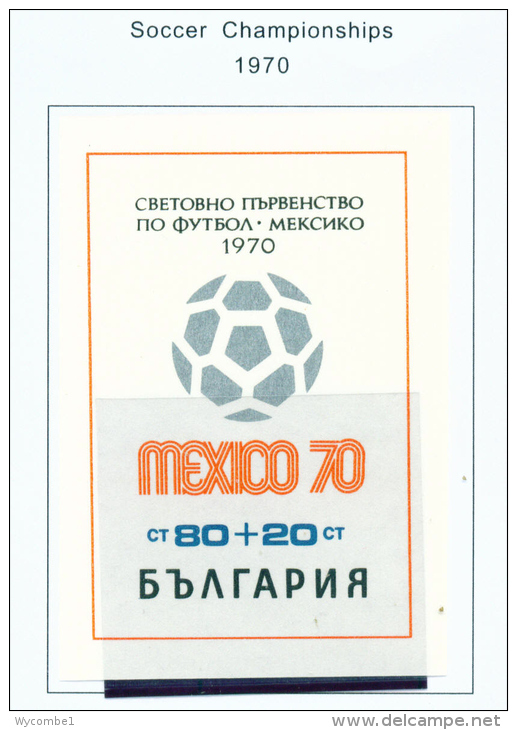 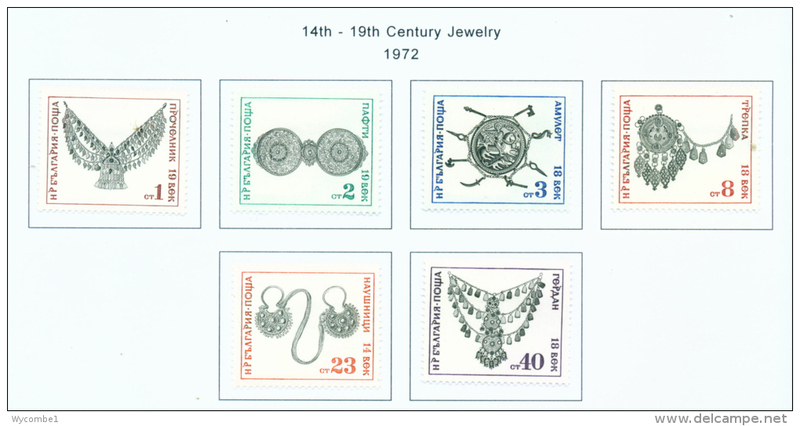 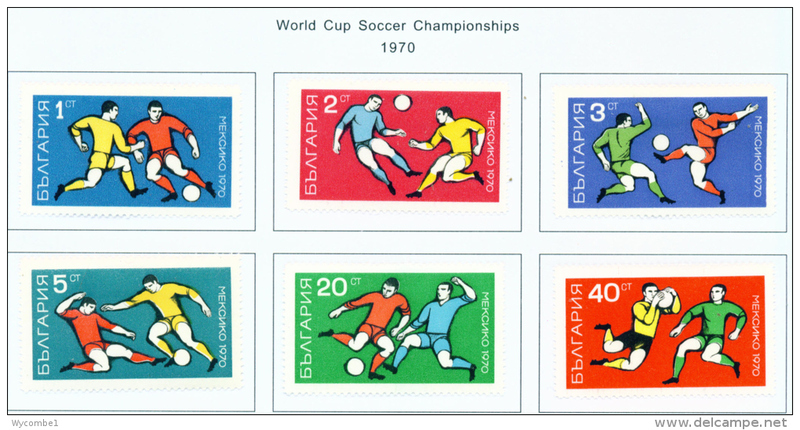 Bulgaria 1975 Espana souvenir sheet unmounted mint. 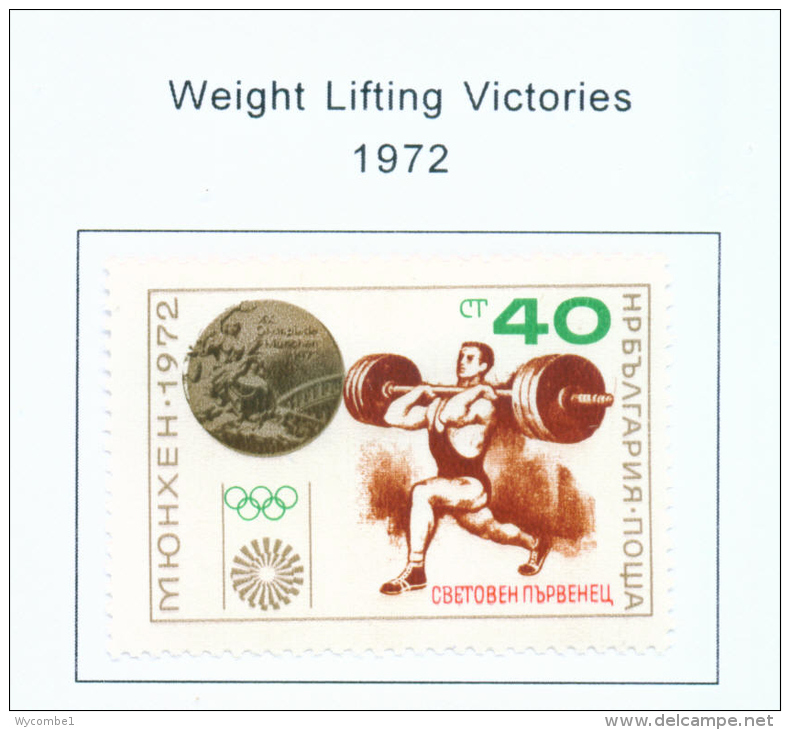 Bulgaria 1974 Bulgarian History unmounted mint. 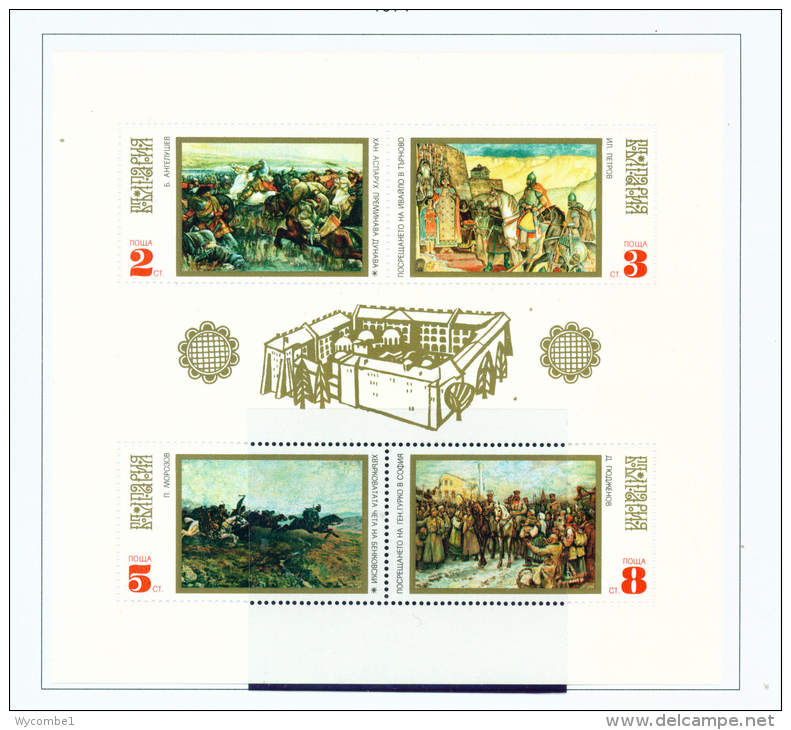 Bulgaria 1975 Michelangelo souvenir sheet unmounted mint. 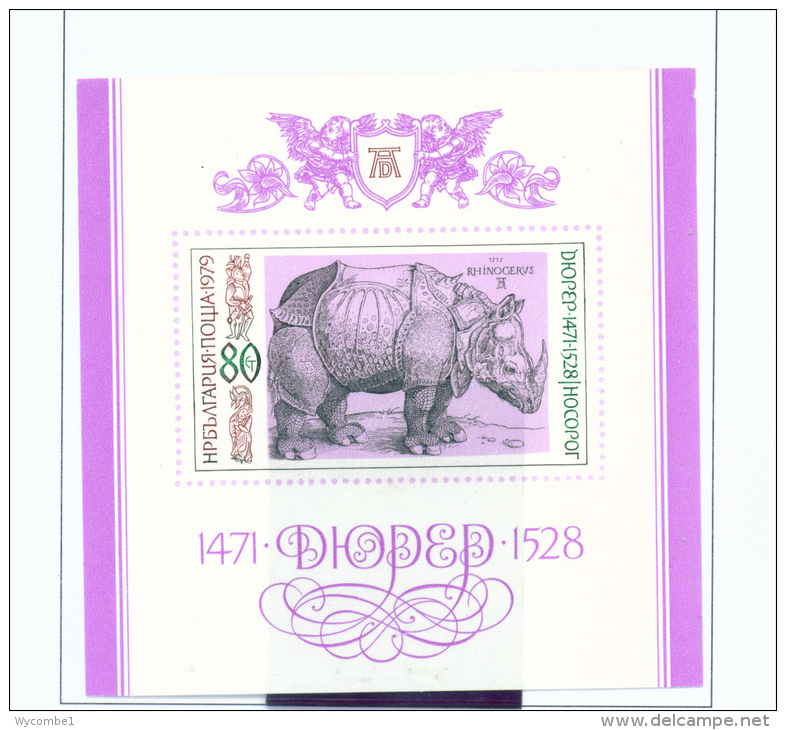 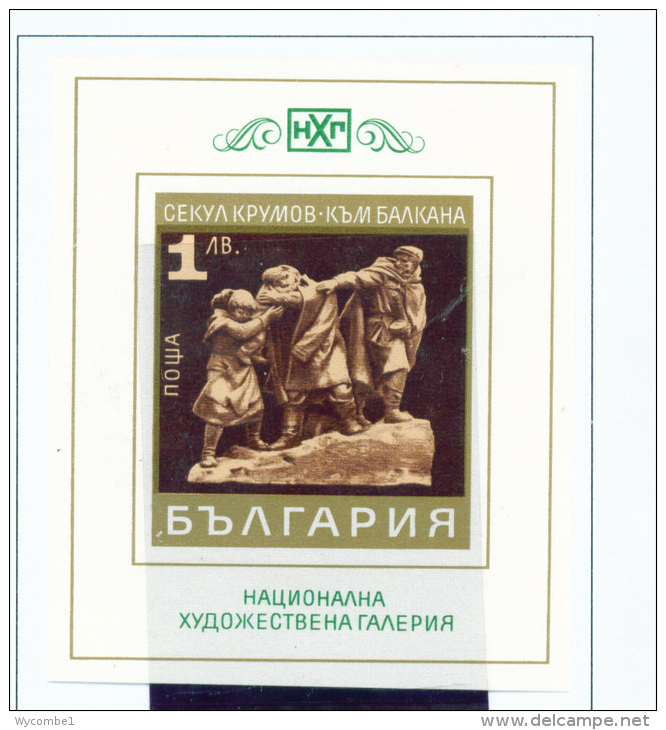 Bulgaria 1975 Michelangelo unmounted mint. 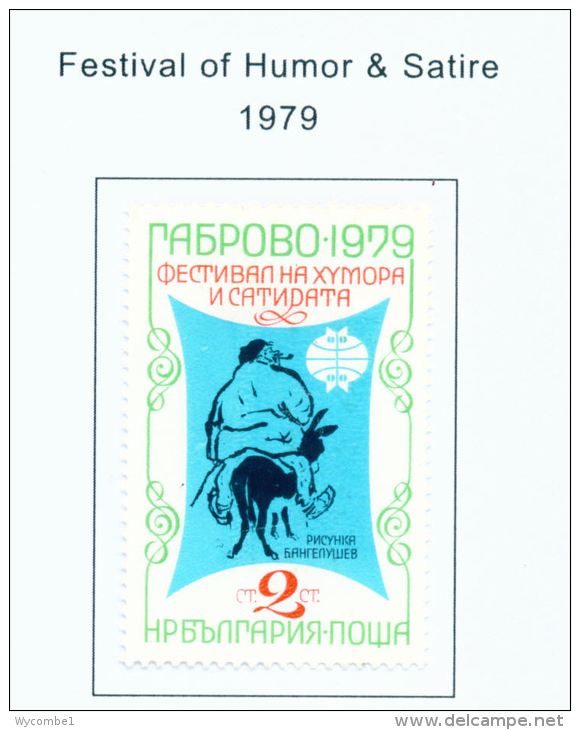 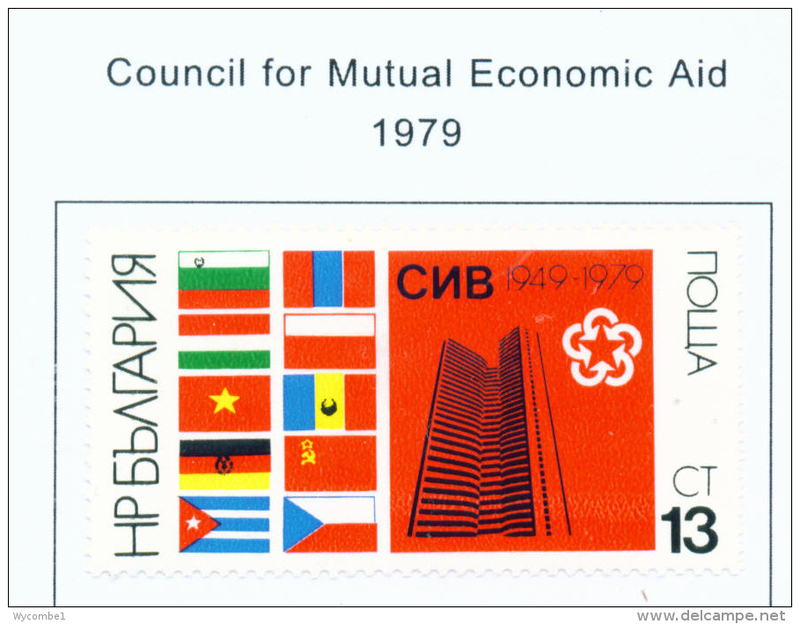 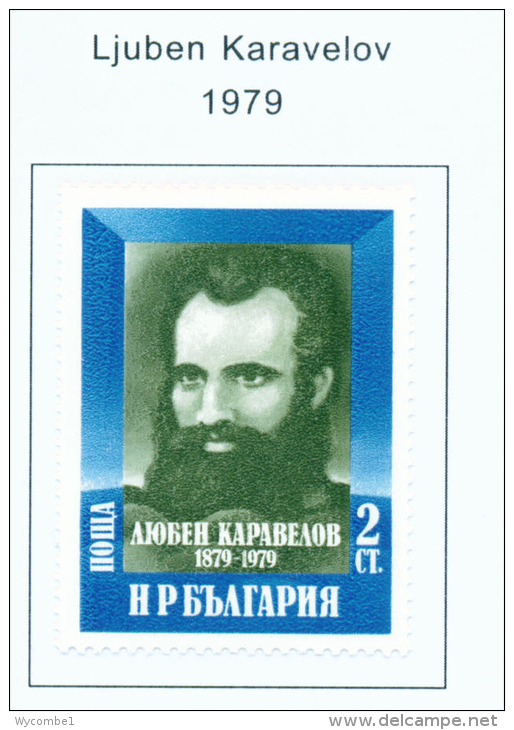 Bulgaria 1975 Agrarian Union souvenir sheet unmounted mint. 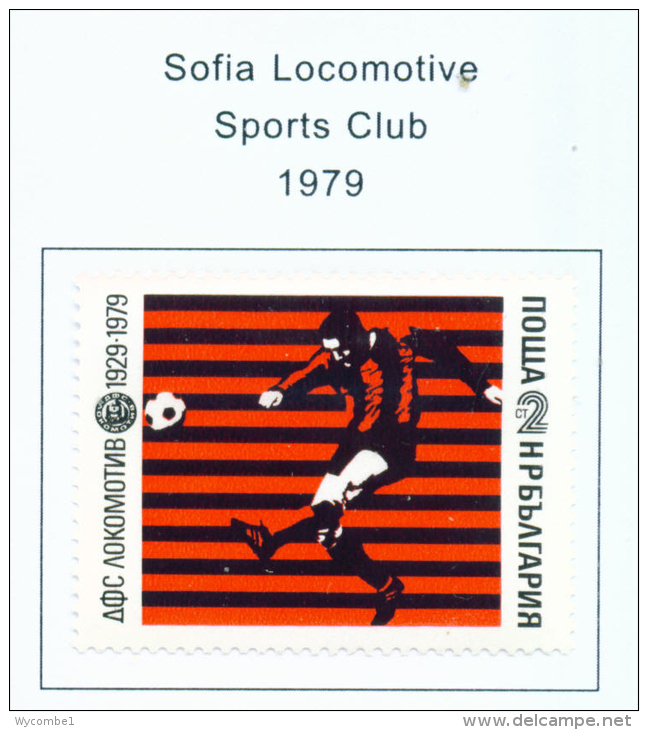 Bulgaria 1974 Stockholmia souvenir sheet unmounted mint. 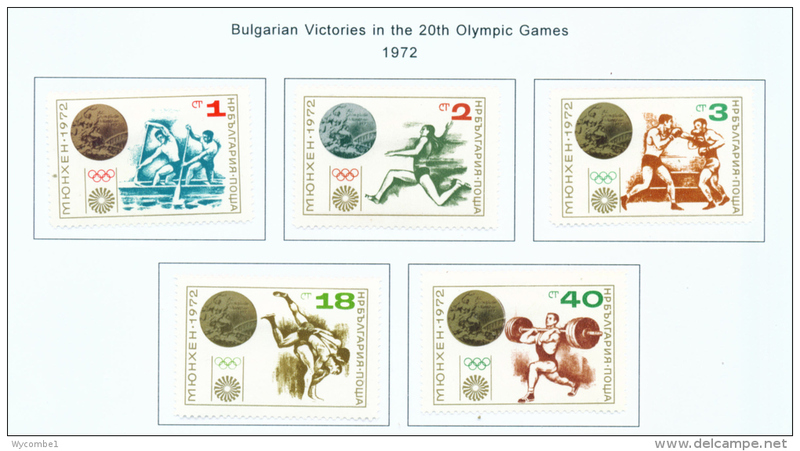 Bulgaria 1976 Olympic Gold Medal Winners souvenir sheet unmounted mint. 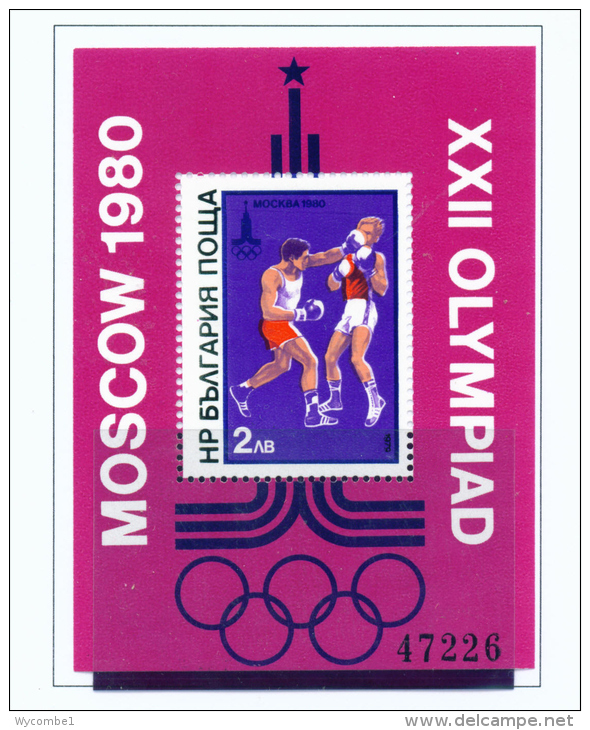 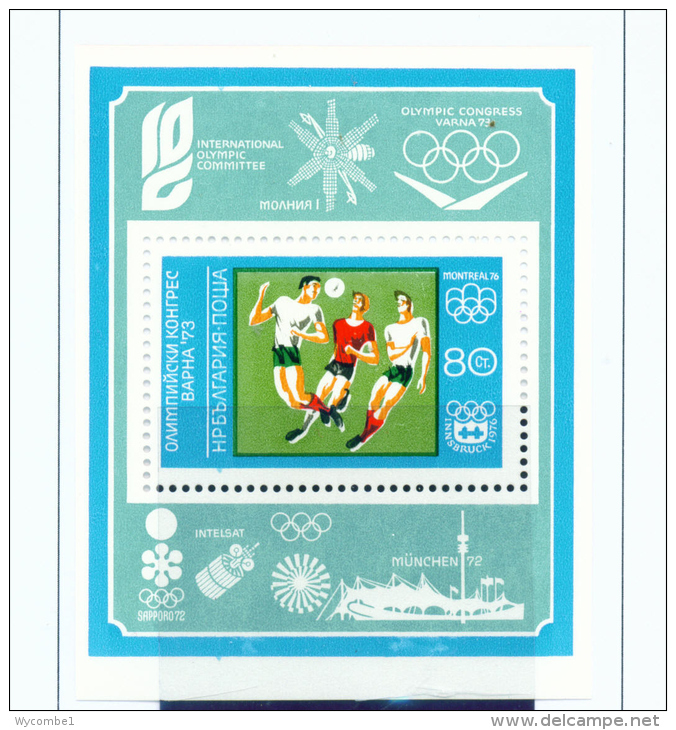 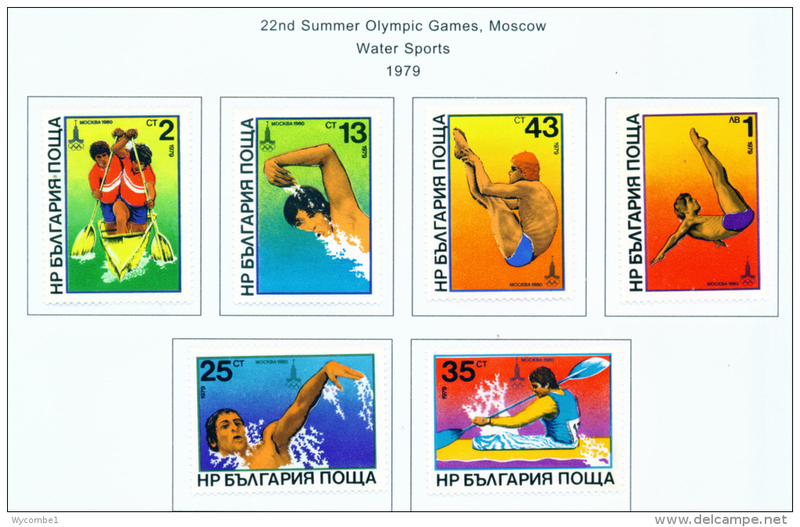 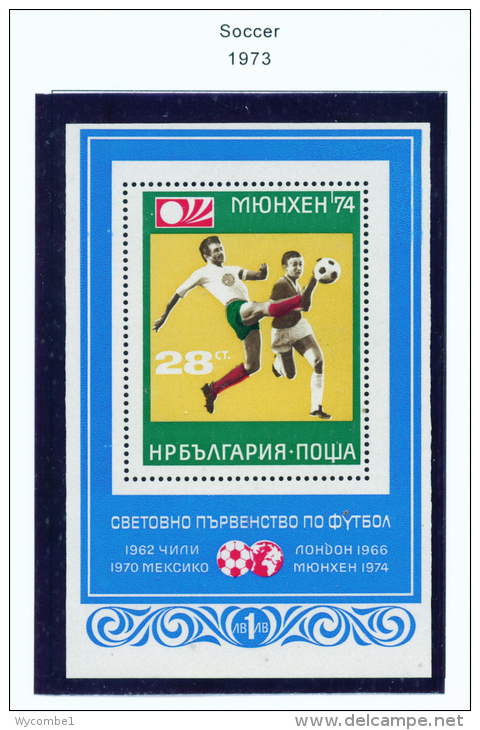 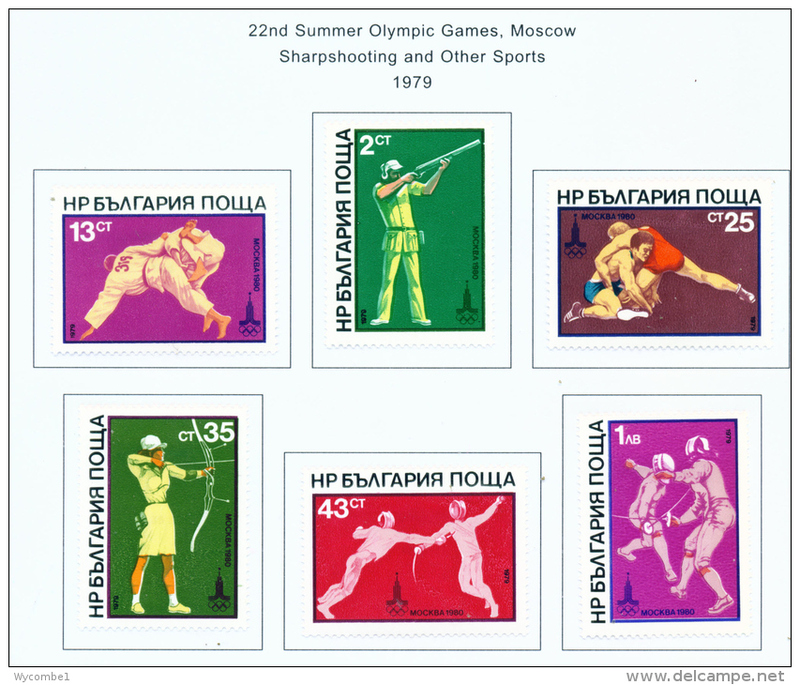 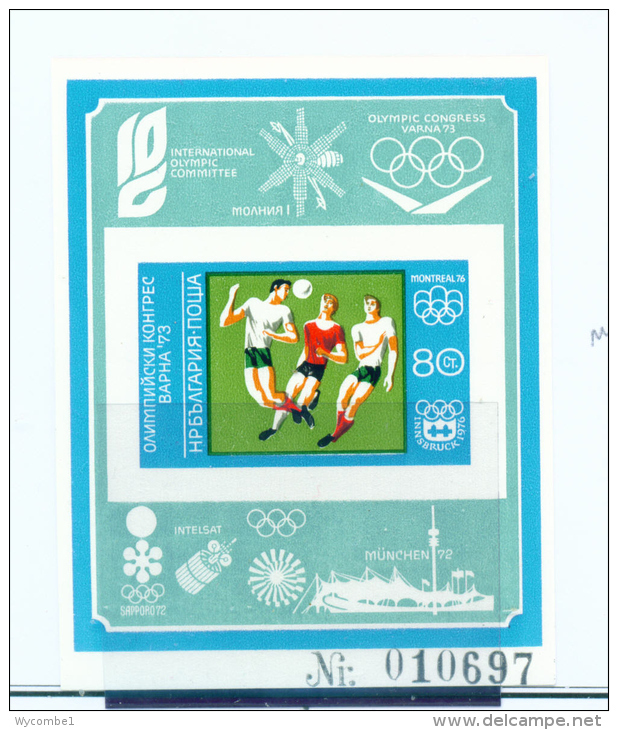 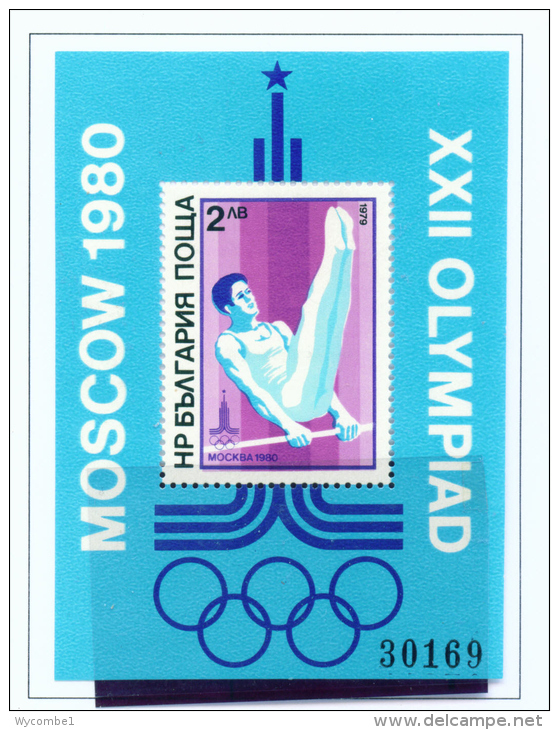 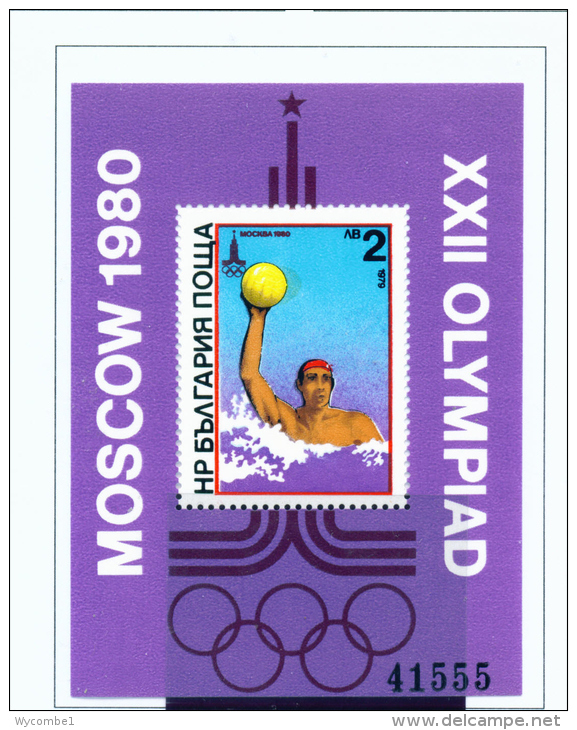 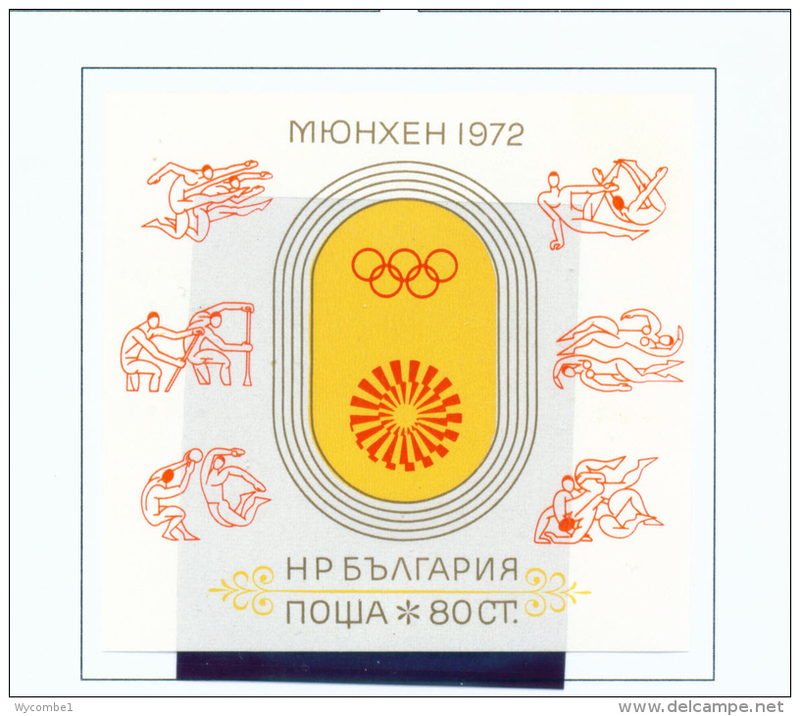 Bulgaria 1976 Olympics souvenir sheet unmounted mint. 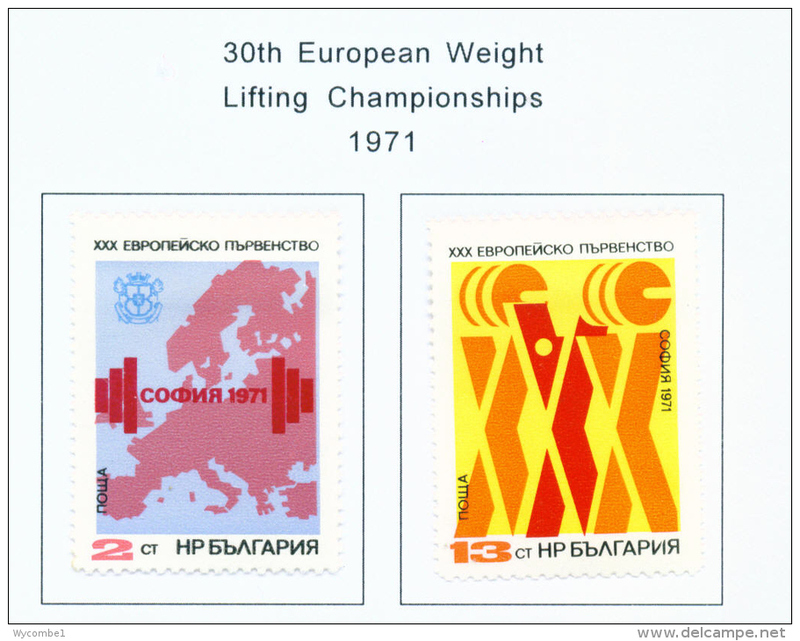 Bulgaria 1978 Flowers unmounted mint. 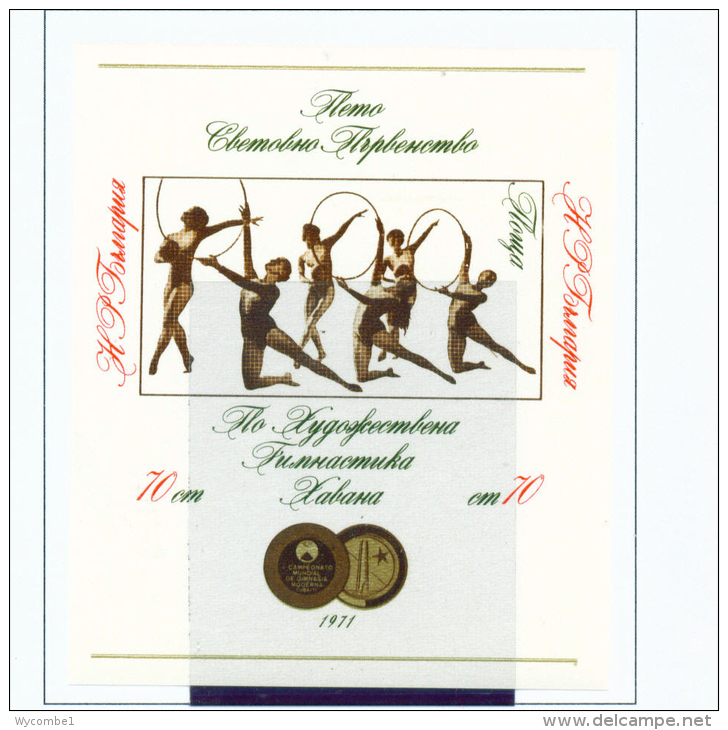 Bulgaria 1975 Fruit Tree Blossoms unmounted mint. 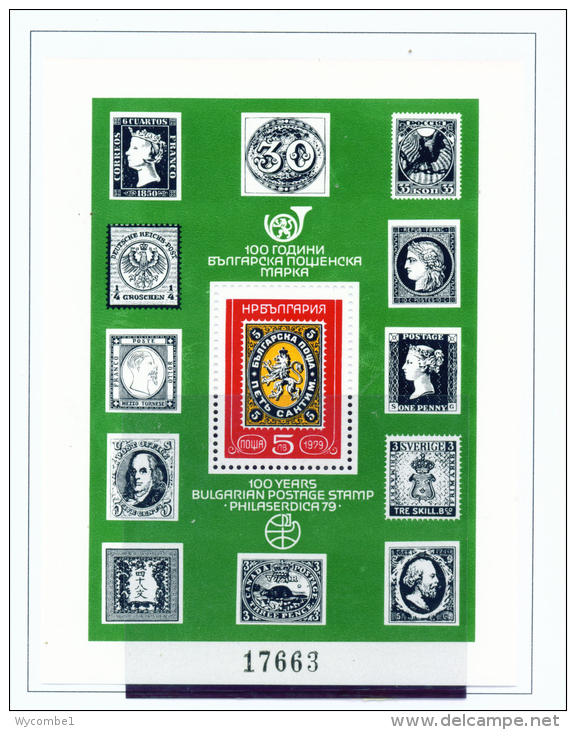 Bulgaria 1974 Bulgarian Flowers souvenir sheet unmounted mint. 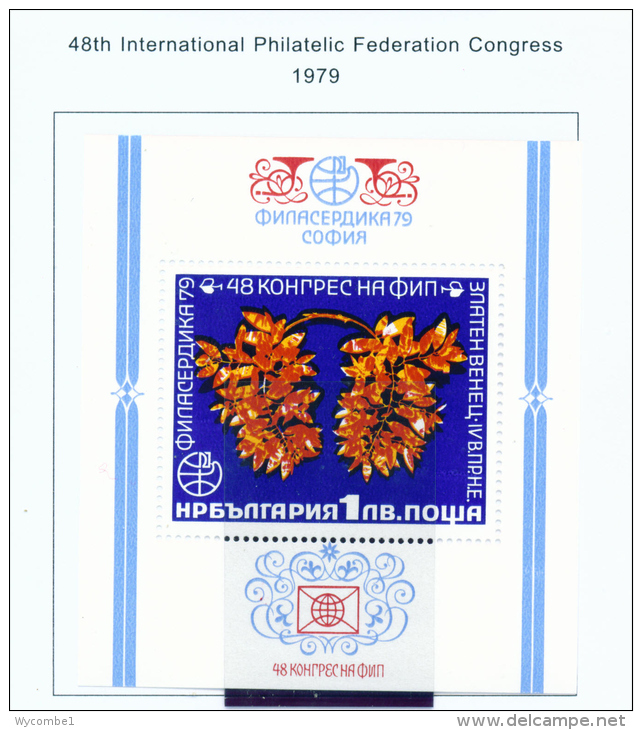 Bulgaria 1974 Bulgarian Flowers unmounted mint. 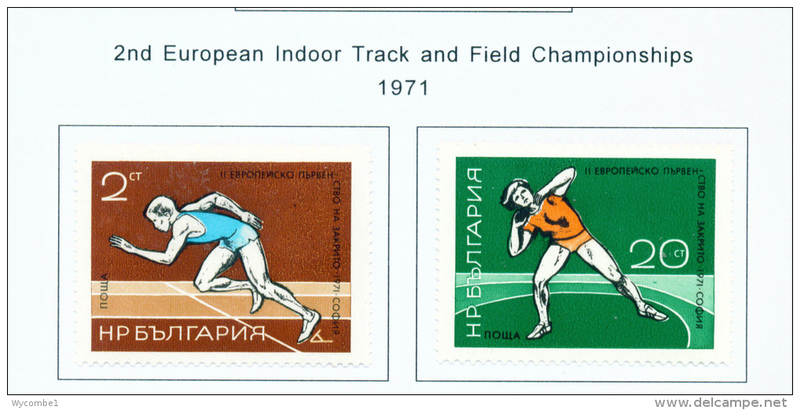 Bulgaria 1973 Wild Flowers unmounted mint. 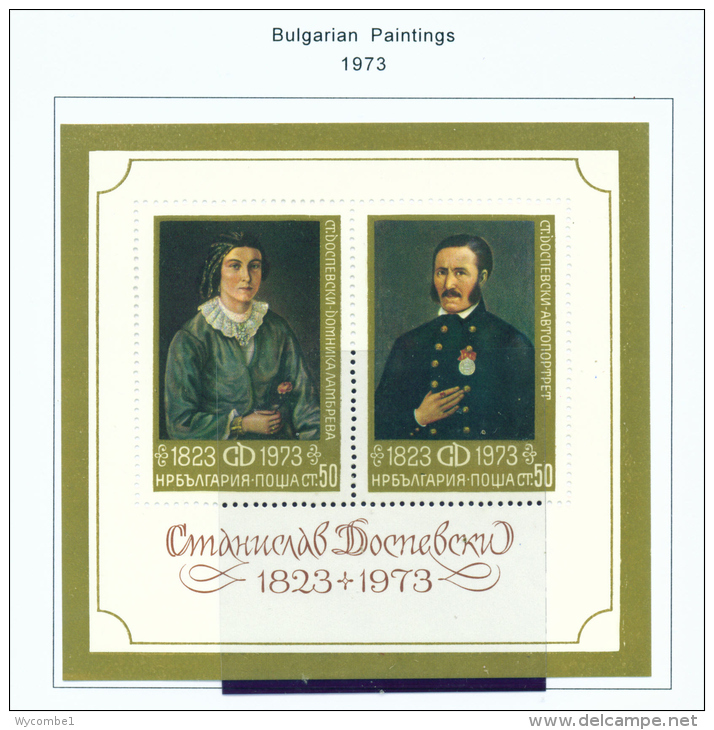 Bulgaria 1972 Protected Flowers unmounted mint. 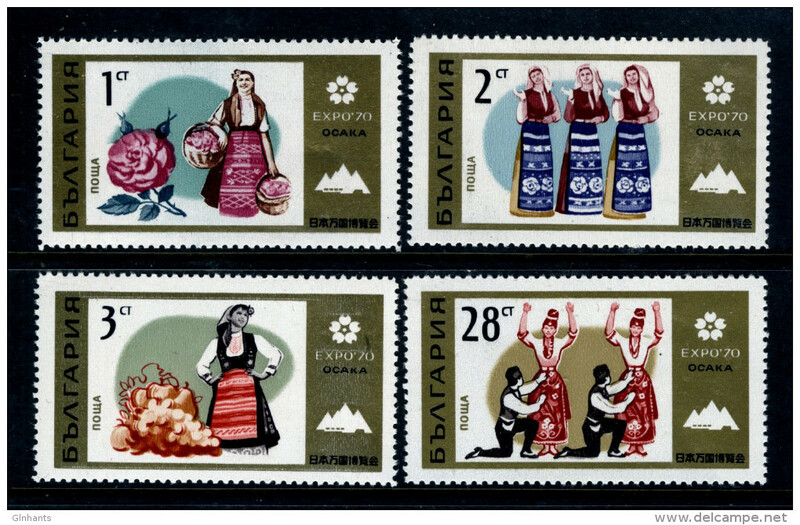 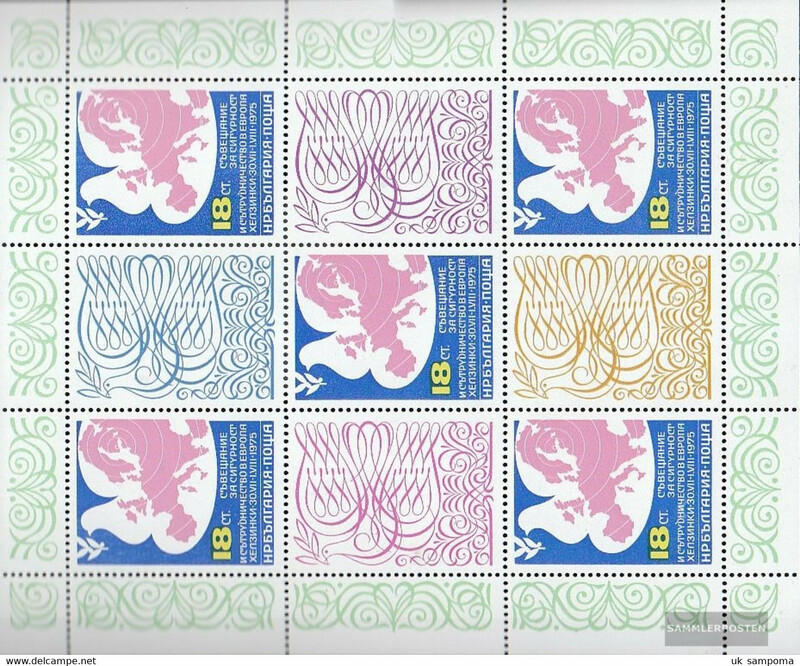 Bulgaria 1970 Bulgarian Roses unmounted mint. 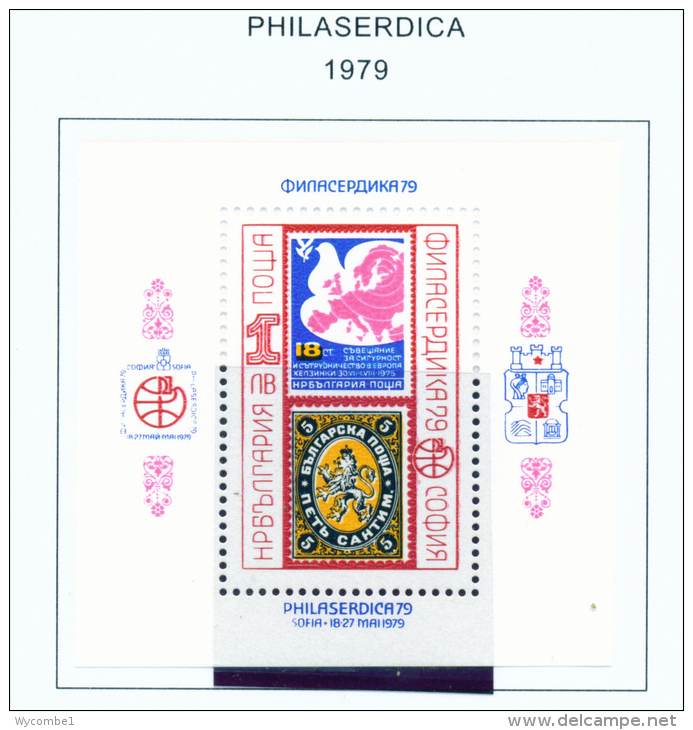 Bulgaria 1973 Visit Bulgaria by Air unstapled souvenir sheet booklet unmounted mint. 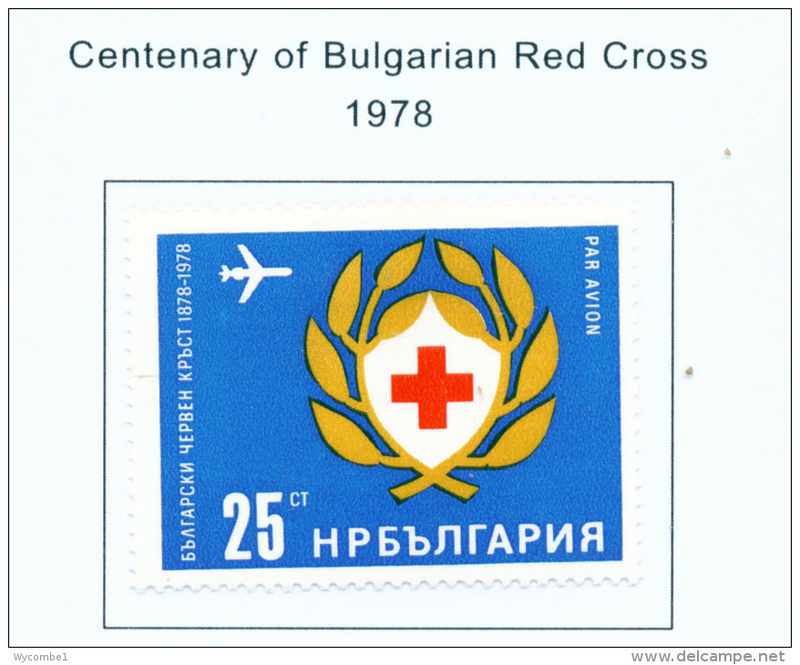 Bulgaria 1973 Visit Bulgaria by Air souvenir sheet unmounted mint. 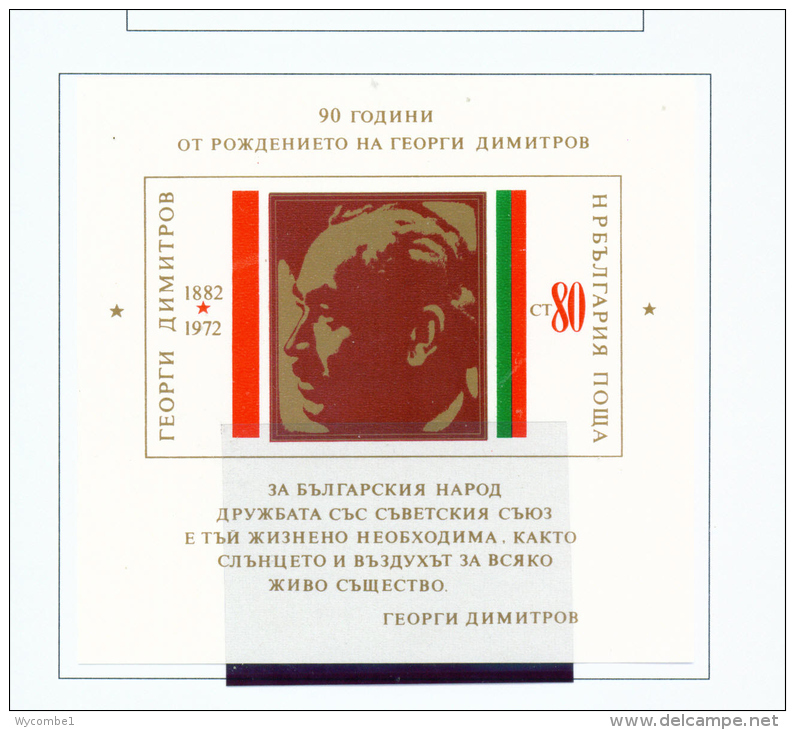 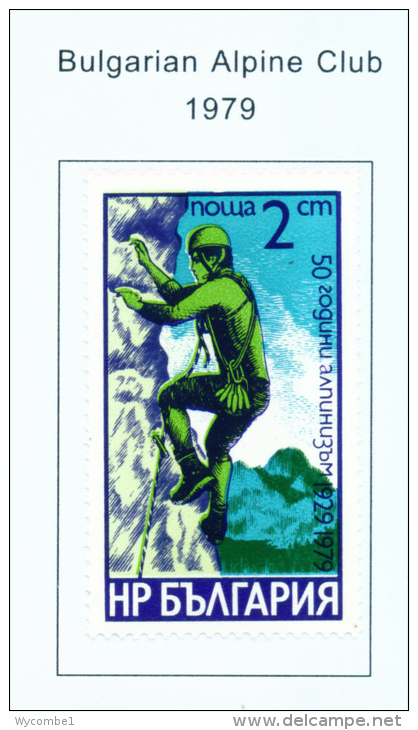 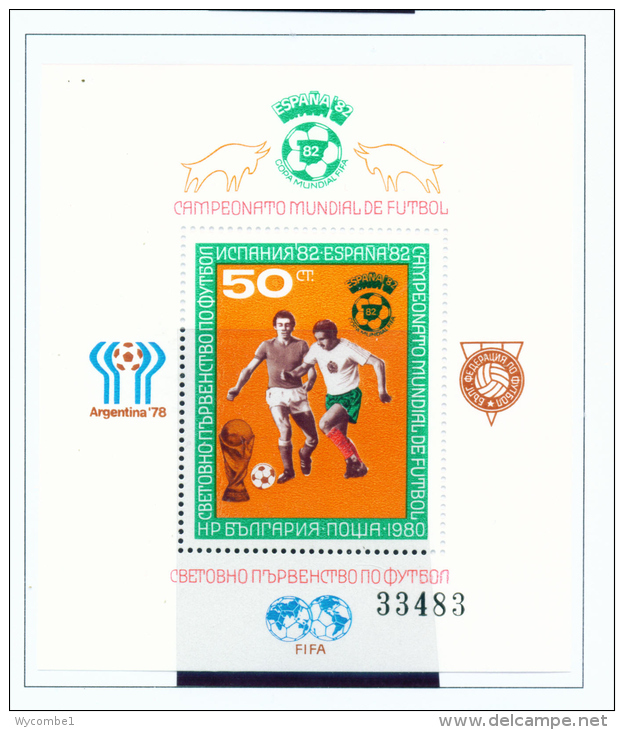 Bulgaria 1973 IBRA Green Overprint souvenir sheet unmounted mint. 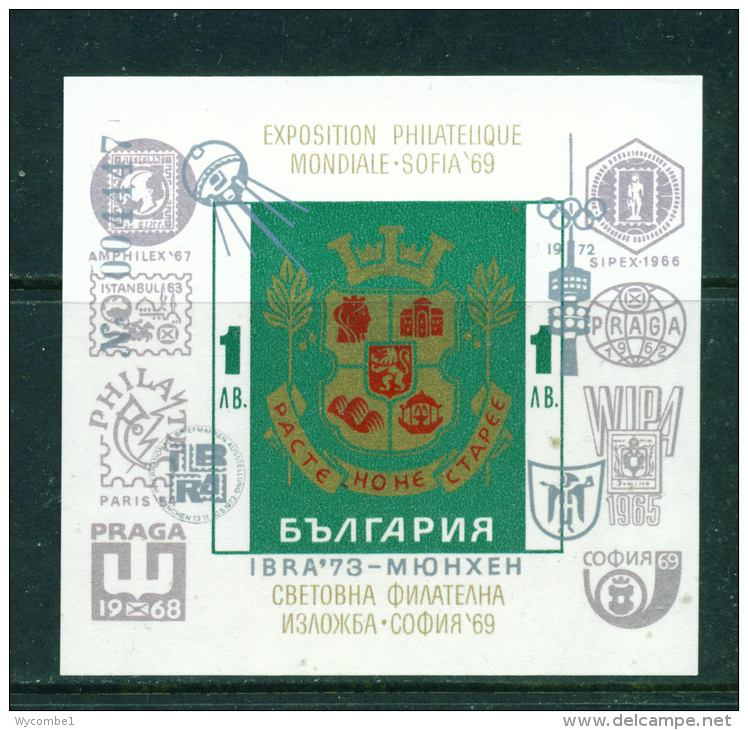 Bulgaria 1973 IBRA Gray Overprint souvenir sheet unmounted mint.